Terrorist wanted for pair of shooting attacks north of Jerusalem captured by Israeli security forces after nearly month-long manhunt. 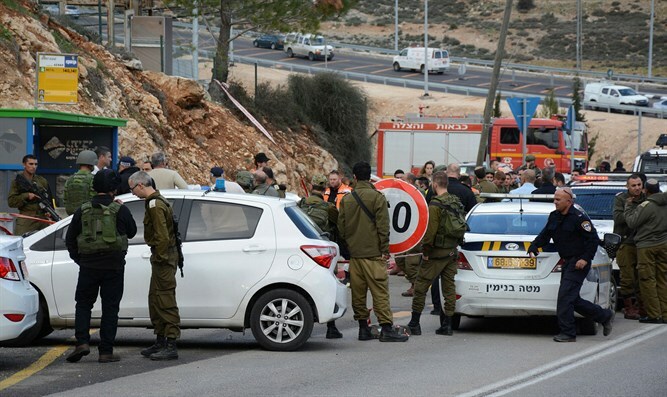 Israeli security personnel captured a terrorist responsible for last month’s deadly shooting attack outside of Givat Assaf, north of Jerusalem. Early Tuesday morning, Israeli security forces apprehended Asam Barghouti, who had opened fire on a group of Israelis at Givat Assaf Junction on December 13th, killing two IDF soldiers, and wounding two more Israelis, one an IDF soldier and another a resident of Beit El. The arrest was conducted in a joint operation of the IDF, Israel Police, and Shin Bet internal security agency. Asam Barghouti carried out the attack near Givat Assaf just days after his brother, Saleh Omar Barghouti, shot seven Israelis in a drive-by shooting just north of Givat Assaf, near the town of Ofra. One newborn child, who was delivered prematurely as a result of the attack, died three days after the shooting. Saleh Omar Barghouti was subsequently killed by Israeli security forces. On Tuesday, the Shin Bet also confirmed that Asam Barghouti had also taken part in the Ofra shooting attack with his brother. Barghouti was arrested early Tuesday morning at the home of one of someone who had assisted him as he planned a new string of shooting attacks on Israelis. 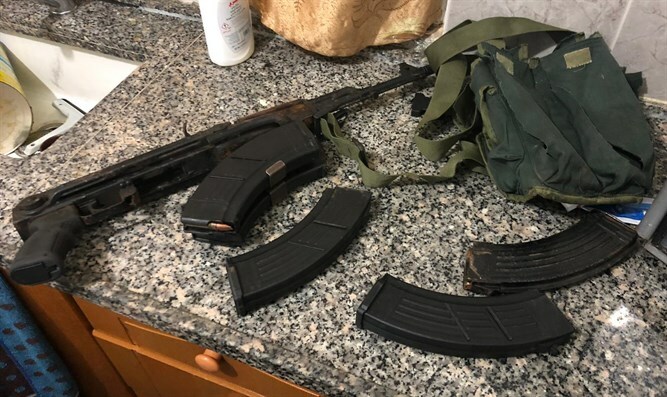 At the time of his arrest, Israeli security forces found an AK-47 assault rifle in Barghouti’s possession, along with large quantities of ammunition and night-vision equipment. The soldiers killed in the attack were from the Nahal Haredi-Netzach Yehuda battalion. Nahal Haredi was founded a few years ago by Los Angeles businessman David Hager in order to integrate the young haredi men into the Israel Defense Force on the mission of defending the Land of Israeli. Nahal Haredi started with a few dozens of soldiers, but today includes thousands.